Remind me which one that is? Oh come on. 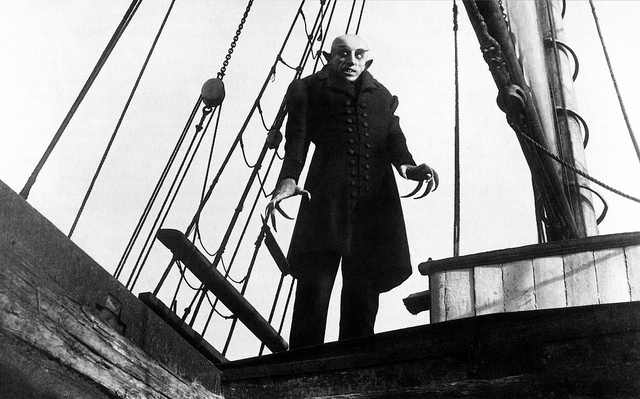 Nosferatu is a classic – FW Murnau’s free-floating Dracula adaptation is one of scariest films of all time, and one of the most beautiful too. Is that the one with hunchbacked shadow lurching up the stairs? Bingo. Surely it’s not still hanging around? 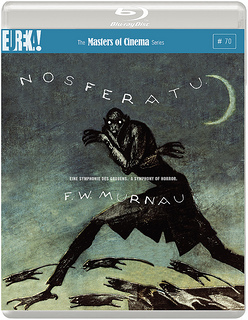 Nosferatu is back baby, and now it’s on Blu-ray too, courtesy of a new release from the BFI. Oh, Nosferatu on Blu-ray? I got that already. Really? Well, no. I saw that Masters of Cinema brought it out two years ago but I hadn’t got around to buying it yet. Ah I thought so. Well you could buy this version instead. I might. Both releases are Blu-ray updates of each label’s previous DVD release of the film. I’m all about Blu-ray. What’s the difference between the two packages though? The extras are different, and the score. MoC used the original theatrical score, and the BFI has used a more modern, but also orchestral, score by James Bernard. And yes, both are available in stereo and 5.1. In 1925, Bram Stoker’s widow, Florence, won a plagiarism case against film producer Albin Grau over the latter’s 1922 chiller, Nosferatu. To be frank, Grau didn’t have a leg to stand on – he had applied for a licence to film Dracula, been refused by Florence and gone ahead with filming anyway, changing a few character names. This hardly distanced his film from Stoker’s Dracula, whose plot he had lifted lock, stock and barrel for Nosferatu and Florence successfully sued to get his company closed down and every copy of the film destroyed. Thanks to one vital copy, lodged at the time in the US where Stoker’s novel was already out of copyright, we still have the movie and every print now available descends from that one saved positive. But I’m beginning to think that a skilful lawyer could actually have argued Florence down. Over a lifetime of playing this masterpiece I have noticed that in two vital areas scriptwriter Henrik Galeen and director FW Murnau actually created a new monster that Stoker would barely have recognised – firstly Van Helsing is a small-part character who is in no way responsible for Dracula’s destruction; secondly Nosferatu, minus Dracula’s brides, only has eyes for only one woman – Mina Harker. And it’s beauty that kills the beast. 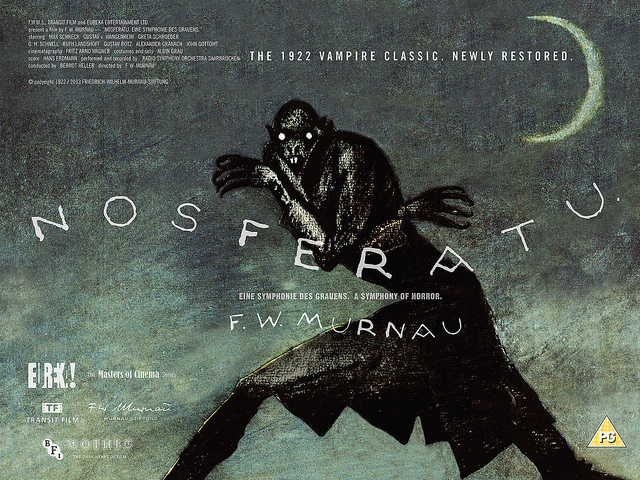 I’ll go further – Nosferatu/Orlok is not Dracula, but director FW Murnau himself – with the result that today’s vampires flitting through Twilight and The Diaries are the children, not of Stoker’s night, but of Galeen and Murnau’s. And the music they make is very different. But which lover, the Count or the Husband? Let’s look at what has brought them all to this point – Orlok has seen Mina’s picture and is about to gorge himself on Hutter for the second night running. 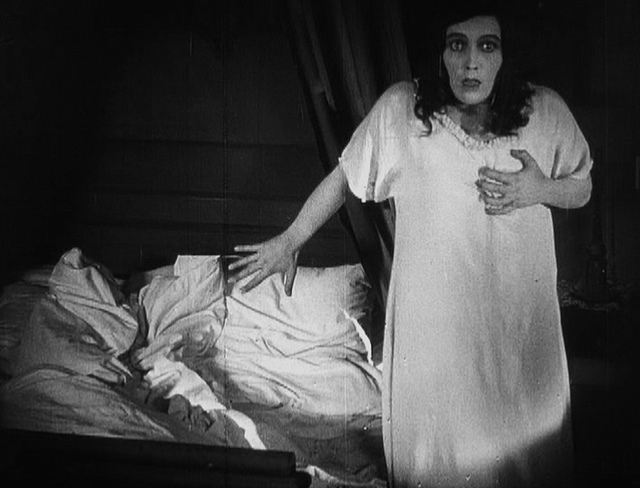 Mina, staying with friends who have rescued her from a perilous walltop sleepwalk, suddenly sits up in bed with a cry – across a single shot-cut (but miles of the Carpathian Mountains) Orlok freezes in mid-bite and turns to face the direction of her ‘voice’ – off camera right. In Witold, she slumps. In Transylvania, he moves away, his meal untouched. The next time we see him moving he is heading away from the castle and towards Mina, bearing his coffins. From then on it is as if she is already under his power – and, I would argue, he is under hers. 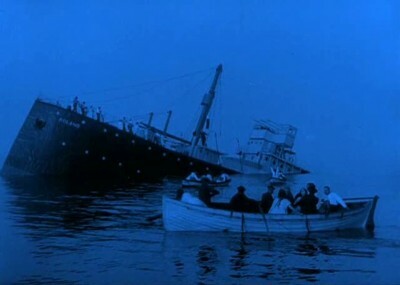 It is impossible to play Orlok’s arrival in Whitby/Wisborg as anything but heroic – the beautiful shot of the ship sailing itself to the dock; the scuttling figure with the coffin stopping outside Mina’s house for a brief smile and his first head-and-shoulder close-up in the movie; then the final river trip, standing proudly in a supernaturally powered rowboat, which deposits him at his new property where he enters by melting through the locked doors. No wonder Herzog chose Wagner for that sequence in his Nosferatu 70 years later. Orlok is a conqueror claiming his kingdom, from which he will stare balefully at Mina’s window while his rats destroy the city. And we are now, however unwillingly, rooting for him. 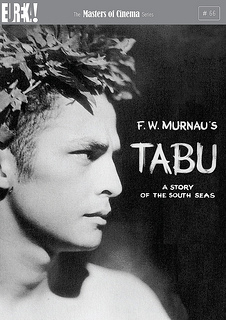 Murnau, by all accounts promiscuously gay and self-conscious about his appearance, obviously loved his vampire with the outsider’s love of a soulmate gifted with powers he can only dream of. Every flesh-and-blood male character in the film is weak or deluded; Hutter himself can only sit feebly by while Mina takes the strong course in dealing with both infection and infector. But as she makes up her mind we see Orlok imprisoned in his palace imploring her attention with a look that can only be described as heart-breaking. When she acquiesces, he comes to the feast like Don Juan triumphant, the shadow of his bony fingers enclosing, not her neck but her heart, which he squeezes as she writhes beneath him. Herzog would provide the perfect closure for their nuptials, Orlok looking up from her throat at the dawning light, only to have her draw his head gently back to her neck with the gentlest of arm-movements. Audiences new to the film always laugh at the opening and the speeded-up actions, but it is a wonderful tonic to hear the silence descend as Murnau and his vampire exert their power. 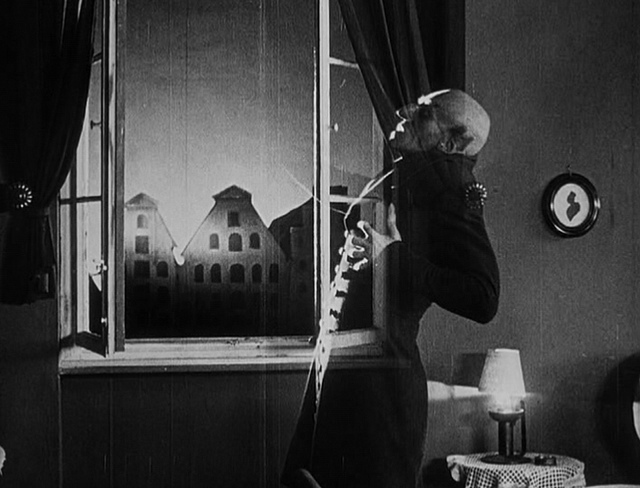 I have never been able to play triumph at the Nosferatu’s demise because we have been taught by Murnau to admire and pity him as well as fear him, and in the last thirty years Herzog, Coppola and Joss Whedon have all followed Murnau’s lead. 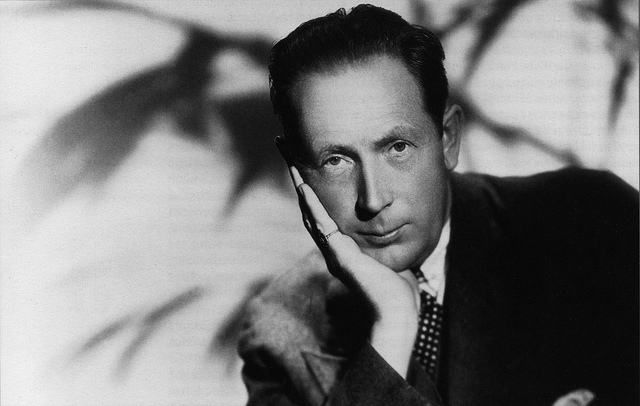 Genius that he was, Murnau made the connection half a century before the rest of us did – we know Orlok because he is us. A short note to let you know that I am introducing a screening of Murnau’s heartbreakingly brilliant The Last Laugh (1924) as part of the Mimetic Festival on 16 July 2013. More to the point, the extremely talented Costas Fotopoulos will be accompanying the film live on piano – so don’t miss it. The Mimetic Festival is a celebration of the power of mime across film, theatre, cabaret, comedy and film. This particular screening is presented by the lovely people at Around the Corner Cinema, who recently showed Sunrise in Winchmore Hill, north London. We chose this film for the festival because it doesn’t rely on intertitles to tell its story. 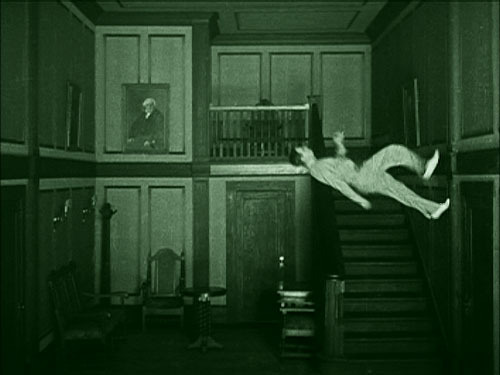 Instead, the audience is swept along by Murnau’s floating camera movements and Emil Jannings’ fluid, physical performance in the lead role. The Last Laugh is a mesmerising film, a work of expressionist genius, which applies the visual genius of Ufa’s greatest talents to the seemingly dour and mundane tale of a hotel doorman who loses his position, and his self-respect, when he is demoted to a toilet attendant. The result is unexpectedly breathtaking – and without giving anything away, you won’t have seen an ending like this before. 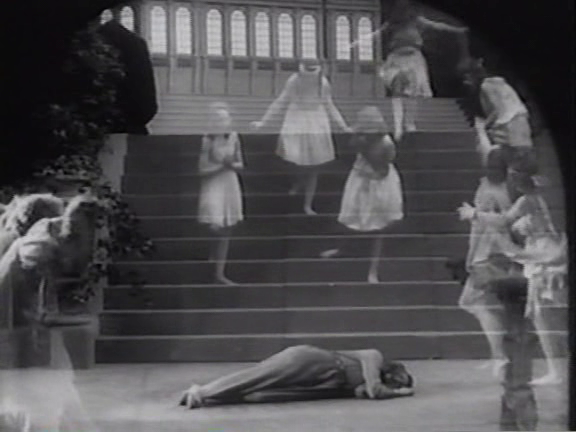 Probably the least sensational and certainly the most important of Murnau’s films. It gave the camera a new dominion, a new freedom…It influenced the future of motion picture photography…all over the world, and without suggesting any revolution in method, without storming critical opinion as Caligari had done, it turned technical attention towards experiment, and stimulated…a new kind of camera-thinking with a definite narrative end. The Last Laugh will also screen with The Projectionist, Jamie Thraves’s short film about the mystery of The Mountain Eagle, which Fotopoulos wrote the score for. The Last Laugh and The Projectionist screen at Enfield Grammar School Hall, EN2 on Tuesday 16 July, 2013. Doors open at 6.45pm and the film will begin at 7.30pm. There will be a licensed bar. Snacks, including Sardinian artisan antipasti boxes, will be on sale too. Tickets cost £6.50 or £5.50 for concessions. To read more, and to book tickets, click here. It’s already one of the most exciting silent film events of the year – and could be the perfect way to celebrate (fingers and toes crossed) a silent film winning the Best Picture Oscar on Sunday night. 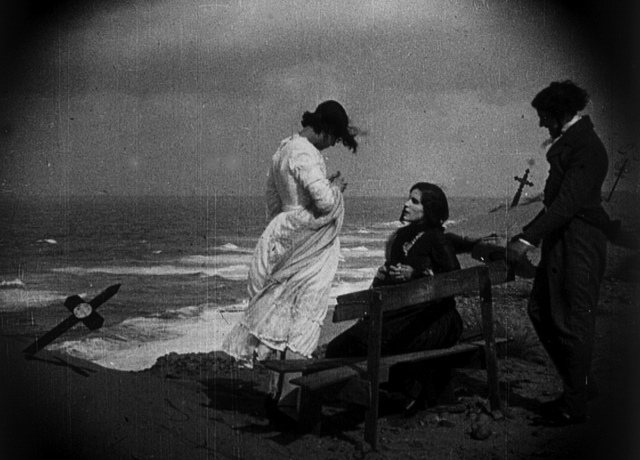 FW Murnau’s classic Faust (1926), screens at the Royal Festival Hall on Monday 27 February, with a new score by Aphrodite Raickopoulou, performed by the Philharmonia Orchestra and accompanied by improvisation from acclaimed pianist Gabriela Montero. Hugh Grant will introduce the film and the orchestra will be conducted by Benjamin Wallfisch. Read more here. 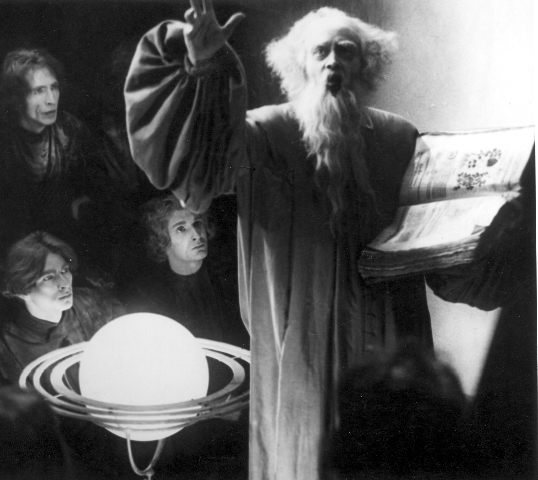 We all know that FW Murnau directed Faust. But what do his initials FW stand for? 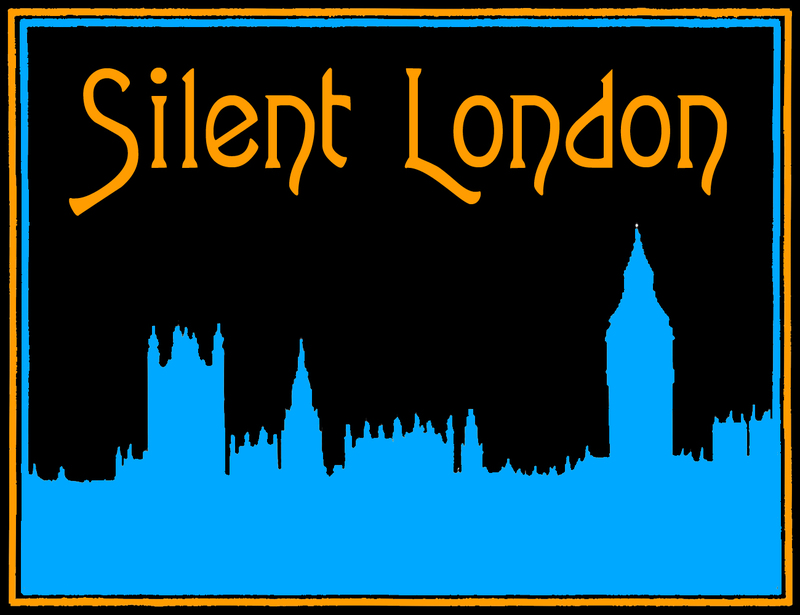 Email your answer to silentlondontickets@gmail.com with FAUST in the subject line, by noon on Friday, 24 February 2012. The winners will be picked at random from the correct entries and emailed with the good news. Best of luck! This is wonderful news. Next year, at the Royal Festival Hall, the Philharmonia Orchestra will accompany a screening of FW Murnau’s masterpiece Faust (1926). The orchestra will be playing a brand new orchestral score, written by composer Aphrodite Raickopoulou, and unusually, there will also be live improvisation from the renowned classical pianist Gabriela Montero. The film will be introduced by the world-famous actor and scourge of the tabloids Hugh Grant. If you’re not familiar with Faust, then allow me to introduce it to you. 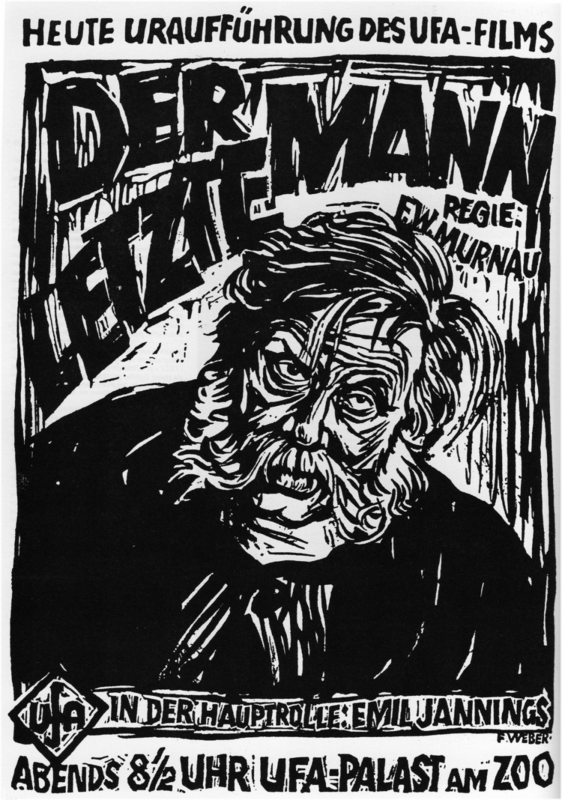 Murnau’s film is an adaptation of the Faust legend, in which a doctor sells his soul to Mephistopheles in return for a cure for the plague epidemic that has struck his town. 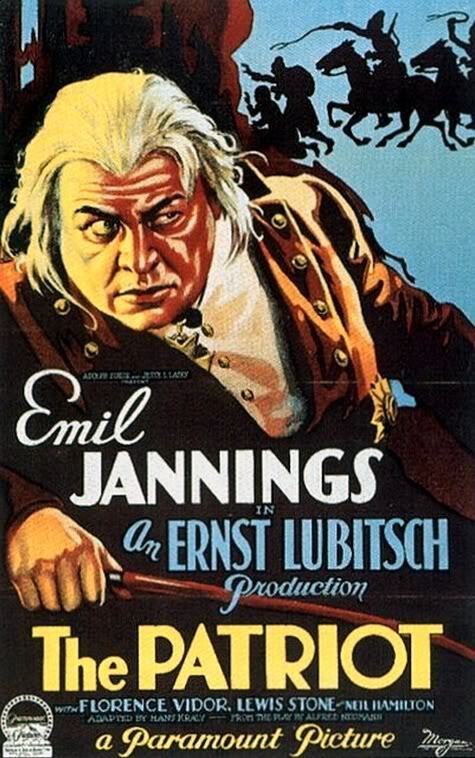 The doctor is played by Gösta Ekman, and Mephistopheles by the always wonderful Emil Jannings, in an outstanding performance that is by turns charming and grotesque. As in so many of Murnau’s films, the real story is an epic struggle between love and hate, and the visuals are as epic as the themes. 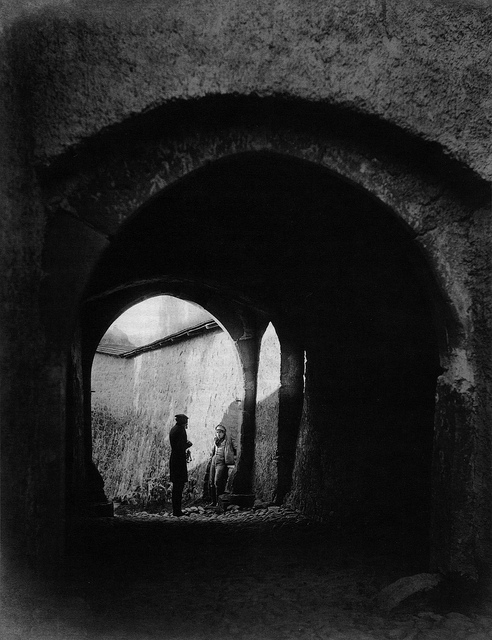 Faust may be shot in monochrome, but it is kaleidoscopically beautiful. Special effects sequences such as the summoning of Mephistopheles and the cloak ride are still impressive – and the clouds of black smoke that represent the plague visiting the town are as haunting as they were technically difficult to pull off. Ekman’s transformation from an old man to his younger self is fantastic as well. But Faust is more than the sum of its technical achievements. It’s a hugely moving film, with a melodramatic finale, and as unforgettably brilliant as Murnau’s other much-loved classics, Nosferatu and Sunrise. This new score has been a real labour of love for Raickopoulou, who was moved to tears after watching the film for the first time. She told me: “Being a dreamer has its great risks but true passion and true love will always prevail.” A sentiment very much in tune with the spirit of the movie, I’m sure you’ll agree. This project has benefited from the advice of Patrick Stanbury from Photoplay Productions – and you’ll be pleased to know that the Royal Festival Hall will be showing a 35mm print of the domestic version of the film. Faust screens at the Royal Festival Hall on Monday, 27 February 2012 at 7.30pm. Tickets begin at £10 and you can book them here, on the Southbank Centre website. Murnau’s acclaimed Dracula adaptation, Nosferatu (1922) is still one of the most chilling horror movies ever made – and probably the most influential. 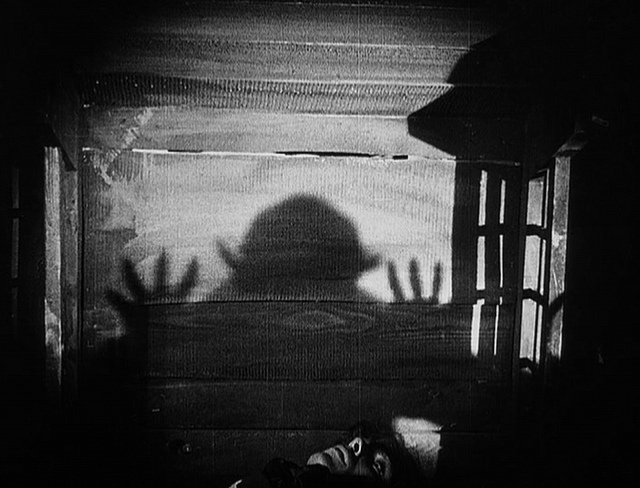 So if you’re looking for a cool halloween night out, you can’t beat watching Max Schreck’s shadow creeping up those stairs with Minima’s heavy rock soundtrack. Luckily, then, there will be a few chances for you to catch the Nosferatu-Minima show this witching season. They’re playing two gigs in London, at Stoke Newington International Airport on 29 October 2011 and at the Prince Charles Cinema on 24 November. Check out the venues’ website for times and ticket prices, and if you live outside London, have a look at Minima’s website for performances of Nosferatu in Devon, Hertfordshire and Somerset. 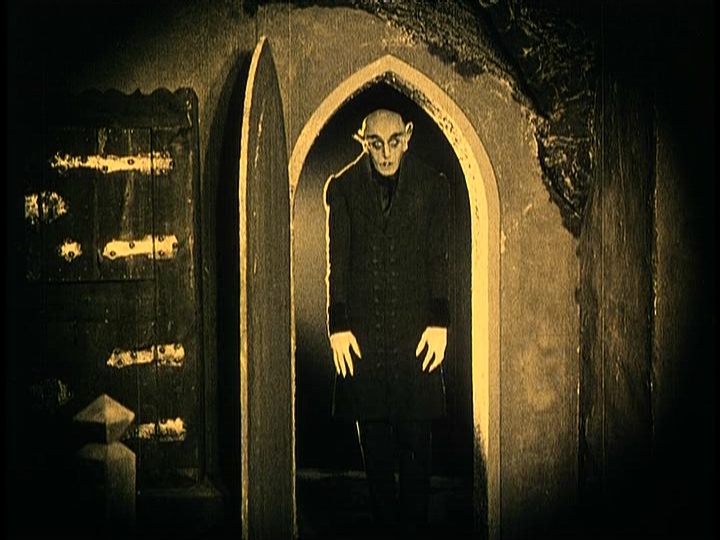 And if you prefer a more traditional silent film accompaniment, Nosferatu is also playing at the Brentford Musical Museum, with a live organ score by Donald Mackenzie on 19 November 2011. Tickets cost £10. For more information and to book, visit the museum website. Walthamstow wants a cinema. In fact, Walthamstow has a cinema, but it is in a terrible state of disrepair at the moment, and its owners want to use it as a church. So the campaign fights on, but meanwhile the cinephiles of E17 are starved for local entertainment. Which is where Screen 17, a local ‘microplex’ cinema comes in. Based in a Regency villa in the heart of Walthamstow Village, Screen 17 is a new, but very welcome, addition to the local arts scene. They’ve been showing children’s films on Saturday mornings and movies for grownups on Thursday evenings for a few weeks now, but they wanted to offer something a little different – to give people a chance to try another flavour of cinema. 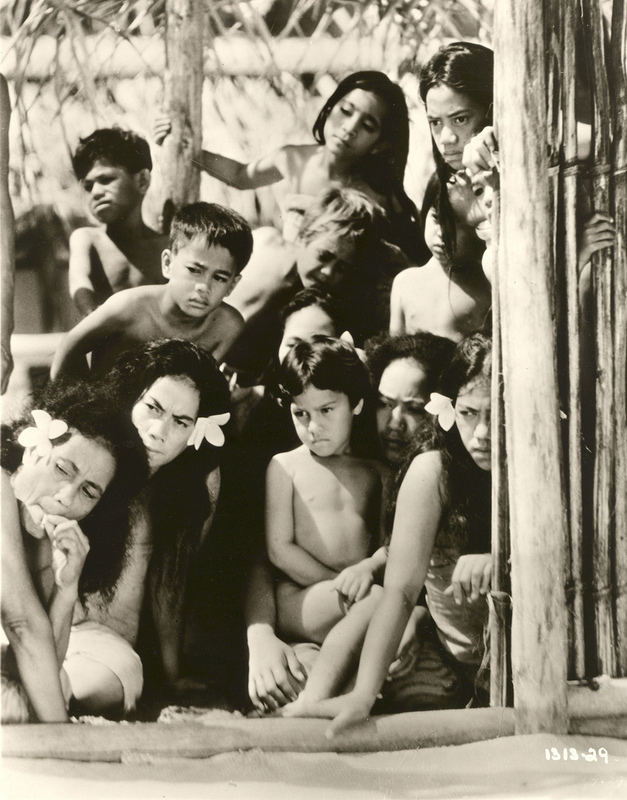 So Screen 17 is showing a silent movie with live music in October, and the film they have chosen is the beautiful Sunrise: A Song of Two Humans (1927). I’m really excited about this. If you hadn’t guessed, I’m a proud Walthamstow resident, and it’s wonderful to see a silent film shown in my local area. The guys who run Screen 17 are also behind the popular Vintage Cabaraoke evening, so they know how to put on a great night’s entertainment too. 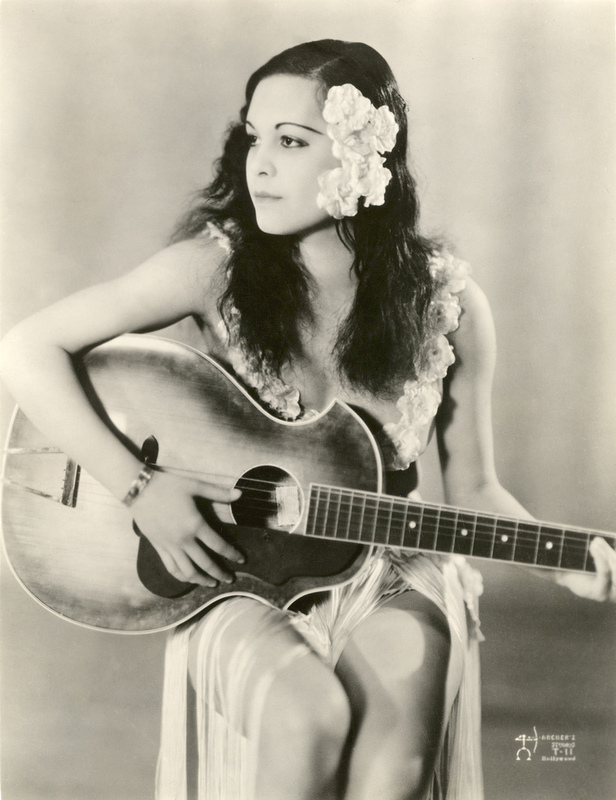 There will be a live improvised piano accompaniment for the film, just like in the good old days, and DJ Roxy ‘Moonshine’ Robinson will be spinning some 78s as well. If you want to dress up in your best 20s gear for the occasion – go ahead! Sunrise: A Song of Two Humans screens at Screen 17 on 20 October 2011. Doors open at 7.30pm and the film begins at 8.30pm. There will be a licensed bar, hotdogs and popcorn. Over 18s only. Tickets cost £8 and are available on the door or on We Got Tickets. For more details, visit the Screen 17 website. It’s not all about Russia at the BFI in May. 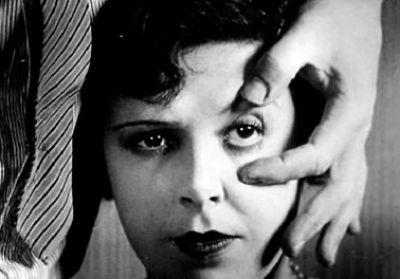 This L’Histoire du “Look” strand is dedicated to the development of visual style in the cinema, as part of the educational Passport to Cinema programme. 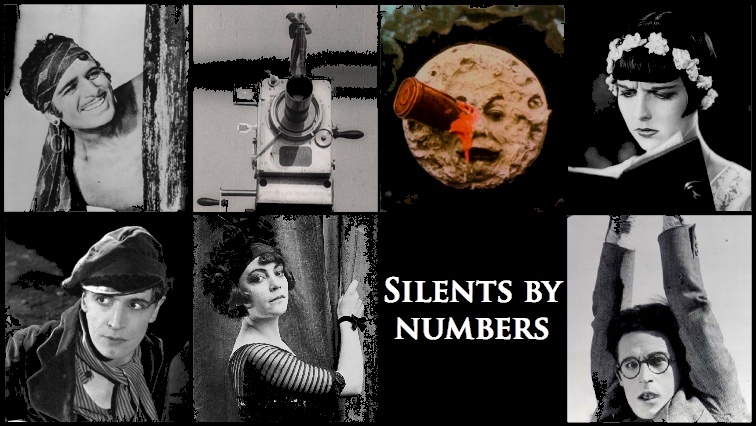 Quite frankly, all six titles in this first part are worth a gawp, but we’ll restrict ourselves to the silents here – three gems, each shown three times, which should keep the BFI pianists busy. 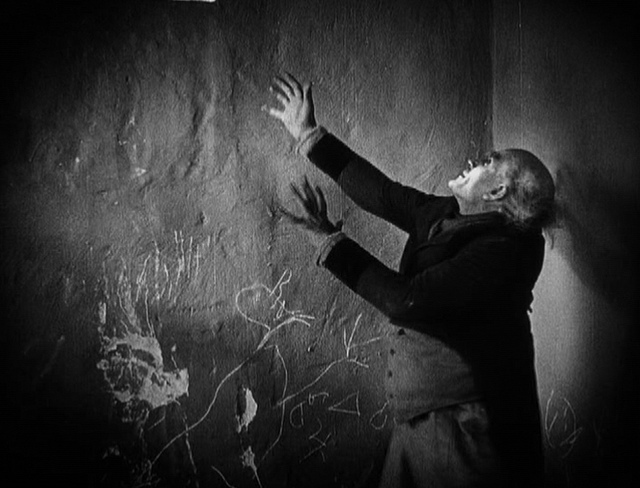 The Cabinet of Dr Caligari (1920) is here representing the angular, dreamlike world of German Expressionism. The shifting perspectives of the scenery mirror the shifting narrative, where nothing is ever quite what it seems for long. 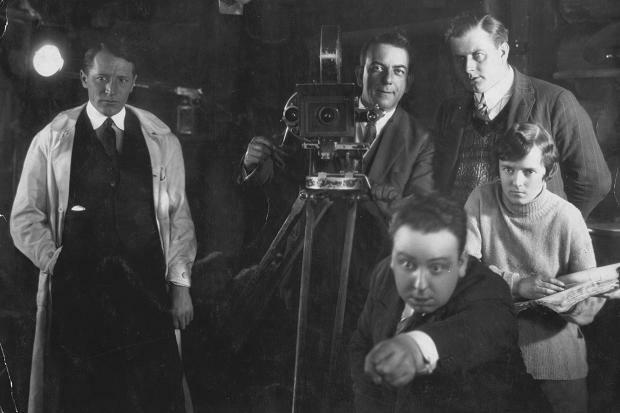 The Last Laugh (1924), directed by FW Murnau, is remarkable for being (almost) intertitle-free, allowing Karl Freund’s mobile camera and Emil Jannings’s powerful lead performance to to tell the story of a doorman who loses first his job and then his social standing. 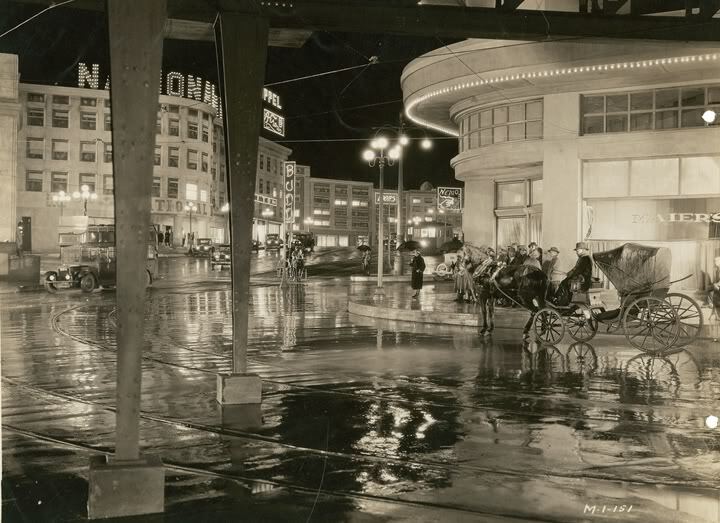 Queen Kelly (1929) is known as a lost film, as star/producer Gloria Swanson walked off set one day, disappointed by director Erich von Stroheim’s less than wholesome interpretation of the Hays-approved script. 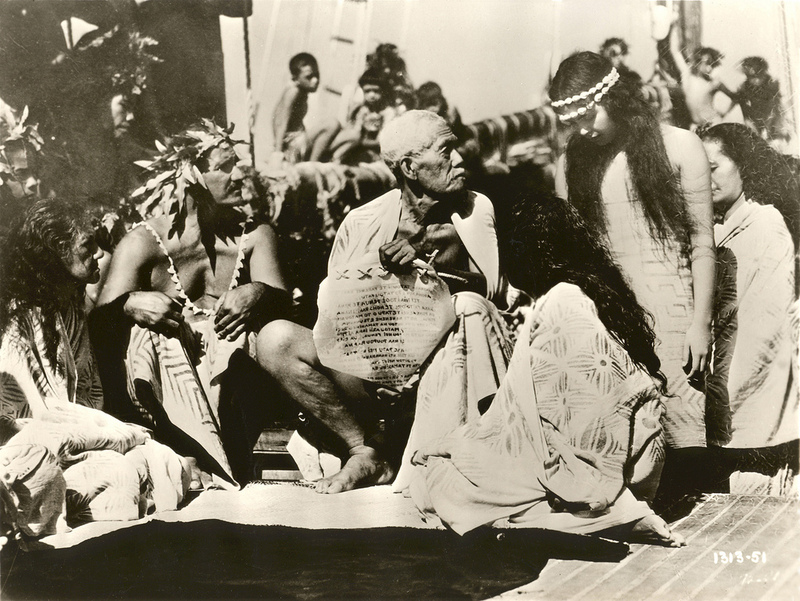 Von Stroheim was sacked and sections of the film removed; it was later re-edited and completed as Swanson wished. However, the luxurious sets and glamorous costumes we expect from Von Stroheim are all present and correct – as is the melodramatic plot. Update: The restored 1985 version of Queen Kelly will be screened, which has an orchestral score already, so there will be no live accompaniment. All screenings except Queen Kelly have live piano accompaniment. Tickets cost £9.50 or £6.75 for concessions, and less for BFI members. They will be available on 4 April for BFI members and from 11 April for everyone else. More details on the website here. There will be live musical accompaniment for the double-bill, which begins at 8pm on Thursday 24 March. Tickets cost £16.60 or less for concessions and they are available here. The Loop Collective is a group of jazz musicians and the Loop Festival is their annual four-day event, which this year will take place in the Forge music venue in Camden. On the Friday night a trio comprising Alcyona Mick (piano), Geoff Hannan (violin) and Jon Wygens (guitar) will perform their score for FW Murnau’s sublime film Sunrise: A Song of Two Humans (1927). 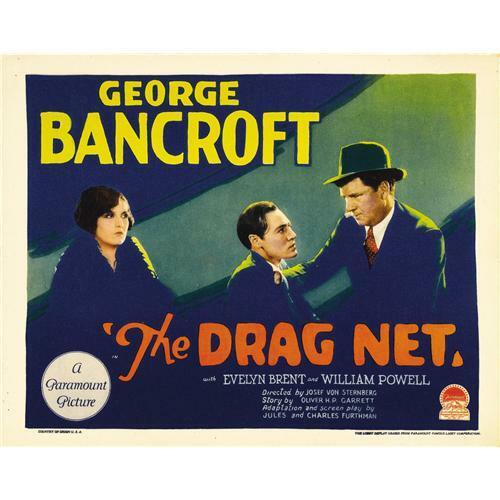 The film tells the story of The Man (George O’Brien) who is tempted, by a seductress from the big city no less, to murder his wife (Janet Gaynor). 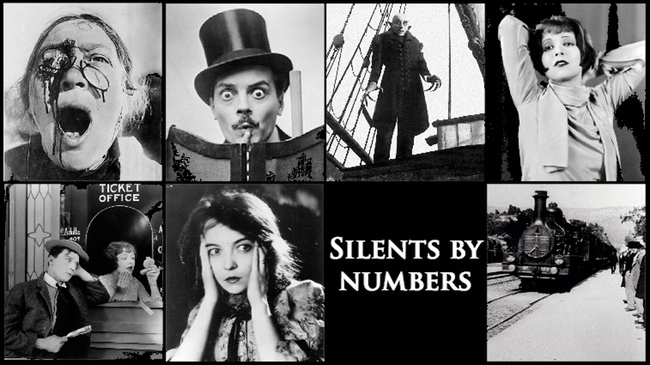 It is one of the most beautifully photographed Hollywood silents you could hope to watch, with stunning mobile camerawork – I often recommend to people who haven’t seen a silent film before. The group’s score was commissioned last year and has previously been performed at the Flatpack Festival in Birmingham. It combines improvisation with pre-written music. You might be interested to know that when the score was performed at the Flatpack Festival they used a print of Sunrise that had recently been found in Czech Republic, which is a little shorter than the better known Movietone print, the one that is available on DVD and Blu-Ray. Part demonic vaudeville, part psychotic big band, vocalist Andrew Plummer revels and writhes in the macabre as he heads his jazz noir project World Sanguine Report through visceral tales from the dark side of life, love and death. Propelled by demented carny rhythms, Plummer’s bruised, gruff vocals and darkly-enthralling lyrics are enveloped in a tide of swirling tones and textures, with the constant threat of breaking into waves of cacophony. Sounds too good to miss! Sunrise screens at The Forge, Camden on 18 March 2011 at 8pm. Tickets are £15 for the whole night of music or more for a festival pass. More information is available from the Loop Festival website here. And you can buy tickets at the Forge website here.